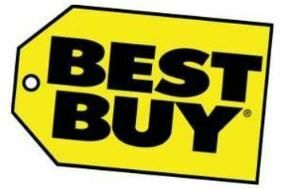 Best Buy Croydon opens this Friday with exclusive discounts | What Hi-Fi? From 9am Friday until the close of play on Sunday, the grand opening deals cover TVs, home cinema systems, Blu-ray players, universal remotes and more. In the market for a new TV? How about a 32in full HD set for £250? The Toshiba 32BV700 is the model in question. You'll also find the Toshiba 40KV700B, a 40in full HD TV, for just £380. And the deals just keep coming: the Samsung PS50C450 could be yours for £500, the Panasonic TX42PX20B is just £399 and the LG 37LE4500 is £500. Elsewhere you'll find the Philips BDP2500 Blu-ray player for £70, the Toshiba SD1010KE DVD player for £15 and the Toshiba RD99DT DVD HDD recorder for £150. There are discounts on home cinema systems, with the Harman/Kardon Soundbar system with wireless subwoofer available for £350 and the Jamo A102 5.1 speaker system for just £150. Apple's products are bound to be as popular as ever this Christmas and Best Buy has the new iPod Touch 8GB at £189 but with a free iPod Shuffle with every new iPod Touch sold. You'll find deals on PS3 and Xbox 360 bundles, while there are offers on in-ear earphones and iPod docks, such as the Altec Lansing InMotion Max. And just in case you hadn't got your fix lately, there will be plenty of opportunites to take a look at the latest 3D TVs at the new store. The Best Buy Croydon store opens at 9am on Friday – head over to the Best Buy website for more information.